‘Hiccups,Confusions and Strikes’, as GST Rolls Out Tonight. Delhi: As India prepares to launch its biggest tax reform since independence, business houses,individuals and small traders across the country are bracing for economic chaos. At the stroke of midnight today,July 1, Prime Minister Narendra Modi will formally usher in the country’s new goods and services tax. With the deadlines looming, protests and industrial strikes broke out across the country over tax rates and compliance burdens.Thousands of workers belonging to textile,seed sellers, pesticides and fertiliser sector have gone on strike. Many small traders in different cities have joined the protests.Businesses are confused by a complicated structure,which includes four tax slab ranging from 5 to 28 percent. Individuals are not sure or confused at what rates they will be taxed for their daily needs as there are numerous exemptions on day to day amenities. The rate of taxes on essential and daily commodities are still beyond the understanding of the common citizens. Some large companies have assigned or hired staff full time to see through the transition.For small businesses the new tax is incredibly complex for those who had operated on paper ledgers and not computer savvy.The business houses big or small have to file monthly,quarterly and annual returns. Many expect short-term disruption as part of supple chains grapple with the new requirements. The chartered accountants,auditors and tax consultants are having a field day as businesses are roping in them to understand the new tax. 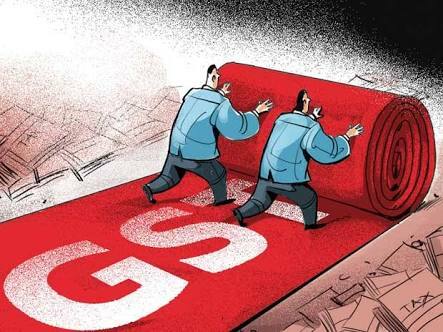 Even supporters of GST, think it’s going to be chaotic in the short-term,despite a two-months relaxation given by the government for filing the tax requirements.